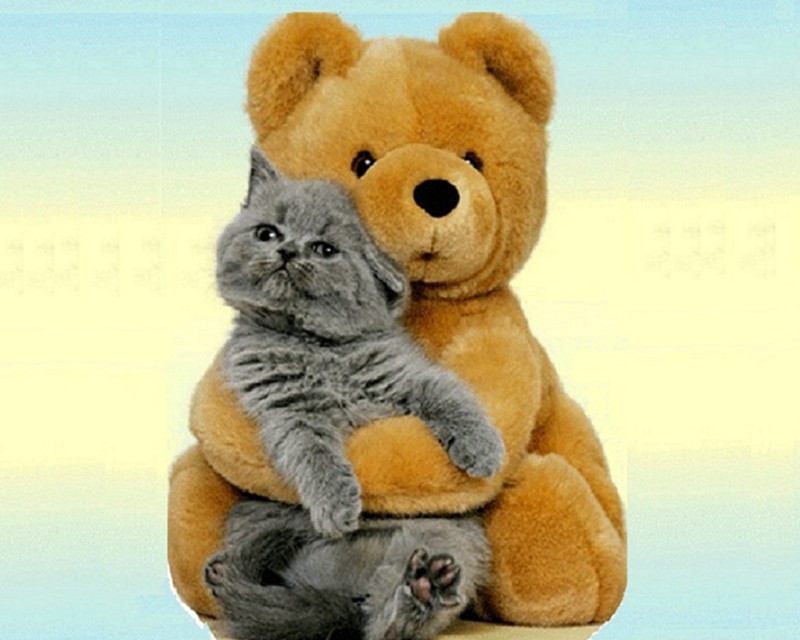 медведь and Cat Обои. . HD Wallpaper and background images in the Кошки club tagged: cute cat teddy bear kitten. Kitty with a Футбол ball!